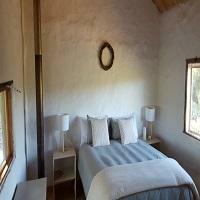 Zwakala River Retreat is a beautiful place where the simple things in life matter. 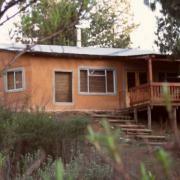 Situated on the banks of a fresh water stream high up in the magical Magoebaskloof mountains of Limpopo, it is the earthy cottages,the indigenous flowers and herbs, the candlelight, cosy log fires, and long river walks that draw one in to a slower pace of life where you can simply just be and let yourself enjoy. 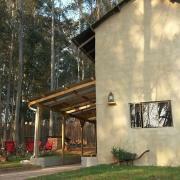 We also have a farm venue perfect for weddings or gatherings. Zwakala Brewery is our newly established craft brewery on the farm - enjoy a tour or a tasting or the breath taking views from our tasting room! Plenty of cycle routes and hikes in the area and we have a 2.5km river stretch for fly-fishing enthusiasts. 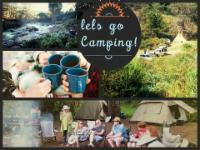 Cosy cottages, cabins and a private campsite are all on the banks of the river. Old fashioned candle light and lamps, steaming hot water from donkey boilers and open log fires make for romance and togetherness. We have chosen not to have electricity in the cottages and cabins but they are fully equipped with all the necessary comforts like crisp white linen and down duvets, strategically placed solar lights, gas stove and fridge. Mina's Art Cafe and Farm VenueThe original old shed and farm house from the early 1900’s has been lovingly renovated into Mina's Art Café and Venue. It has a charming feel with old stone reveals, stick ceilings, a large fireplace and an old fashioned stoep overlooking a terraced garden with grand shady trees and spectacular views over the valley. It has a fully equipped kitchen where delicious menus are prepared from the freshest ingredients. Mina's is an ideal venue for farm style DIY weddings that are meaningful and real. We are also open for group celebrations and gatherings on request. We can accommodate up to 100. On the Farm we have a swimming in the river, walking, trout fishing, cycling, free range horses and abundant medicinal herbs. In the area: Hiking trails, well-marked cycling routes , adventure activities, a cheese farm, indigenous forests and grasslands, quaint pubs and eateries, fresh air and beauty everywhere. Wedding Venues: The farm offers a beautiful old farm venue for functions and weddings of up to 150 people. Ceremonies take place under the enormous old trees in the terraced garden overlooking the valley. Warm, arty feel. The peace and quiet - we were the only people there. Fresh mountain air, beautiful views, and the shower, toilet and kitchen is very neat and clean! Great, thanks! Lovely down by the river but the website did not mention that we had to drive about 16 Kms on a very bad steep dirt road to get there or that there was no electricity. Luckily we have a good 2x4 car and a 4x4 caravan or we would have never made it back up to the main road. Also, the owner had not had confirmation from you that we had booked. Beautiful place but not the best experience. Unfortunately we did not stay there for our booking. R900 per night is a bit much for what you get out of it. The room was filled with dead bees and we did not appreciate the manner in which we were greeted upon arrival. 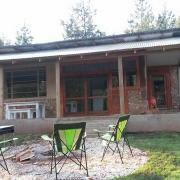 Zwakala River Retreat is 5.3km from the centre of Haenertsburg , the nearest airport 52.8km (Polokwane Airport).